Townhomes From Pacesetter: No Condo Fees! Welcome to our beautiful, affordable, and unique Pacesetter Townhomes. What makes them so you unique, you ask? Well, did you know that our townhomes have no condo fees?! This makes your month-to-month living in a Pacesetter home even more affordable and convenient. Choosing a Pacesetter townhome is a no-brainer when you consider all the benefits of townhome living. A townhome is less maintenance than a single-family home, meaning you can say goodbye to hours of snow shovelling and garden work. Relax and enjoy your time without the stress of keeping up with a large exterior. Choosing a townhome means you also become part of a close-knit community. No more feeling isolated without friendly neighbourhood support. Yet, you still have your own space without upstairs or downstairs neighbours like you may have in an apartment-style condo building. You can feel safe and secure in your townhome as well. You can keep an eye on your neighbourhood, feel safe knowing who is living beside you, and know that you won’t have to look far to ask for support in picking up your mail or feeding your cat during that weekend business trip. Rest easier with this peace of mind! The designs of our new townhomes are incredibly convenient. You won’t believe how big our homes feel when you enter inside. Take a look! Let’s begin with our ever popular Affirmed and Alydar models. Each model boasts over 1,300 square feet of living space and open concept floorplans with 3 bedrooms and 2.5 bathrooms. Completed in our Benchmark Specification, these townhomes feature vinyl plank flooring and gorgeous quartz countertops. Each townhome also comes with a detached two-car garage and completed front and rear landscaping. These beautiful townhomes are also available for purchase in Glenridding Heights, Meadowview, Summerwood, West Secord, and Walker Summit. Up next on feature are our Bristol (1,460 square feet) and Calder (1,476 square feet) townhomes. 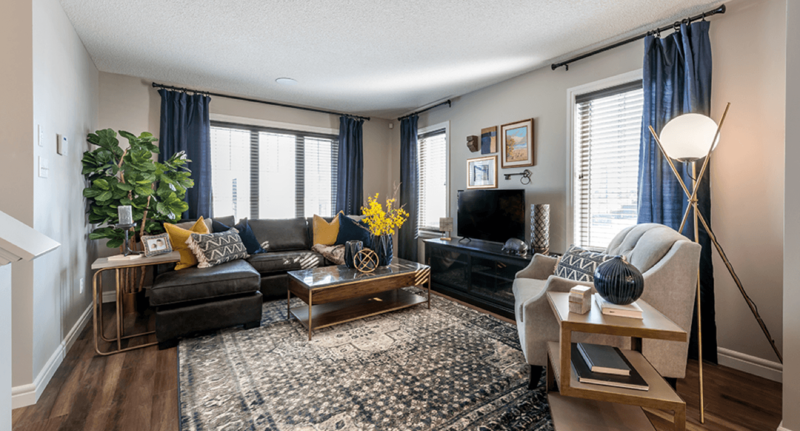 These absolutely enormous townhomes can be found on full display in Walker Summit at 5232 – 22 Avenue SW, Edmonton. Also built in our Benchmark Specification, you’ll still find 3 bedrooms and 2.5 bathrooms in each. However, experience a completely unique use of space in each, with the Bristol featuring a front lifestyle room and the Calder offering a handy mudroom space in the rear. 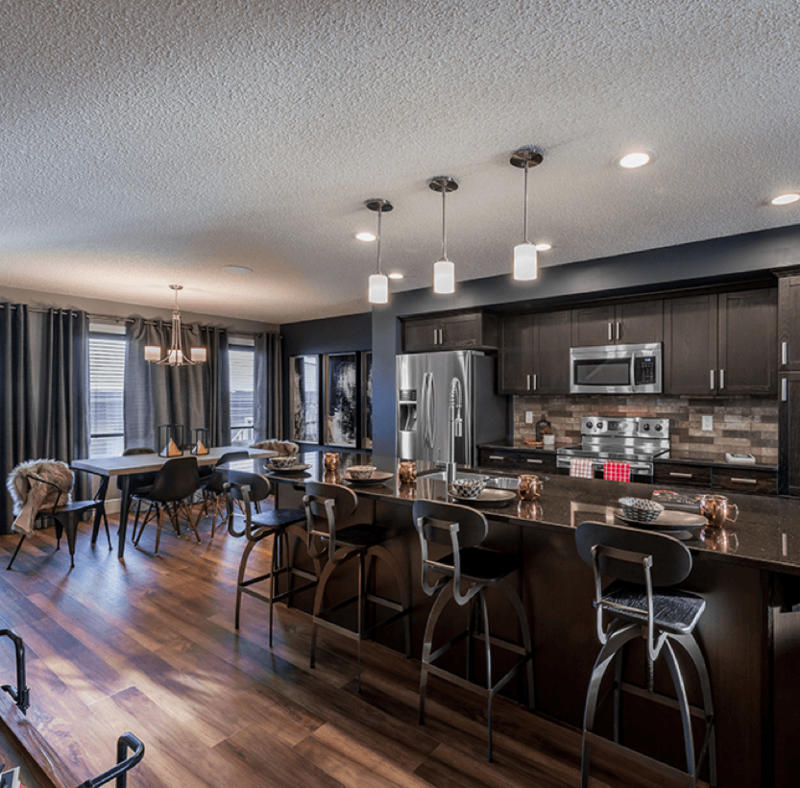 Enjoy these models in Griesbach, McConachie Crossing, Summerwood, and West Secord as well! And that’s not all. 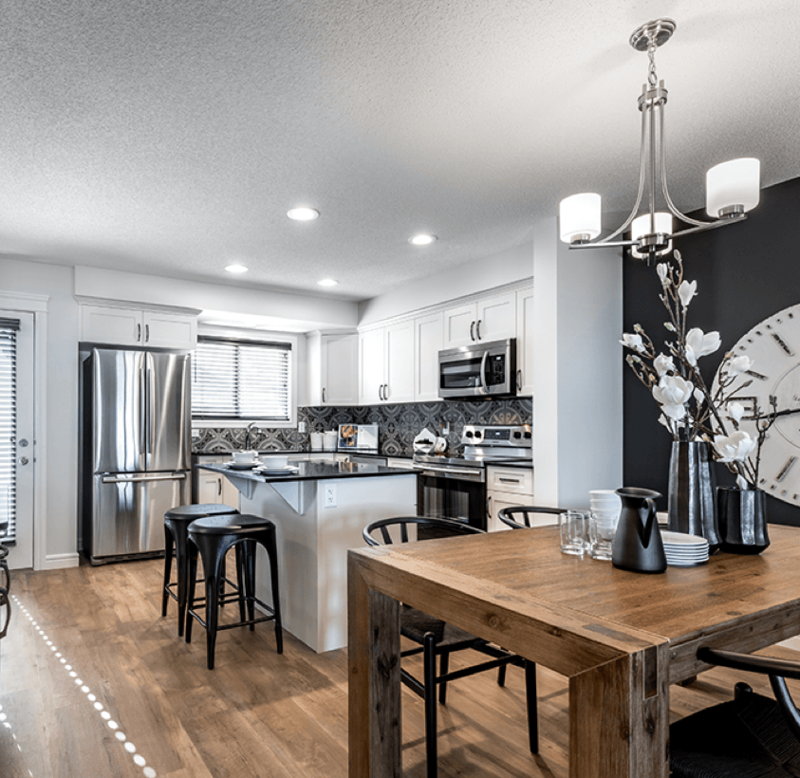 Stay tuned for details on our upcoming Glenmore showhomes to be built in Desrochers and Southpointe, as well as our first ever front-attached garage townhome model, the Churchill. Get into a Pacesetter townhome today, and remember, NO CONDO FEES! Contact an Area Manager for more details. *Originally posted December 1, 2015, updated on March 27, 2018.